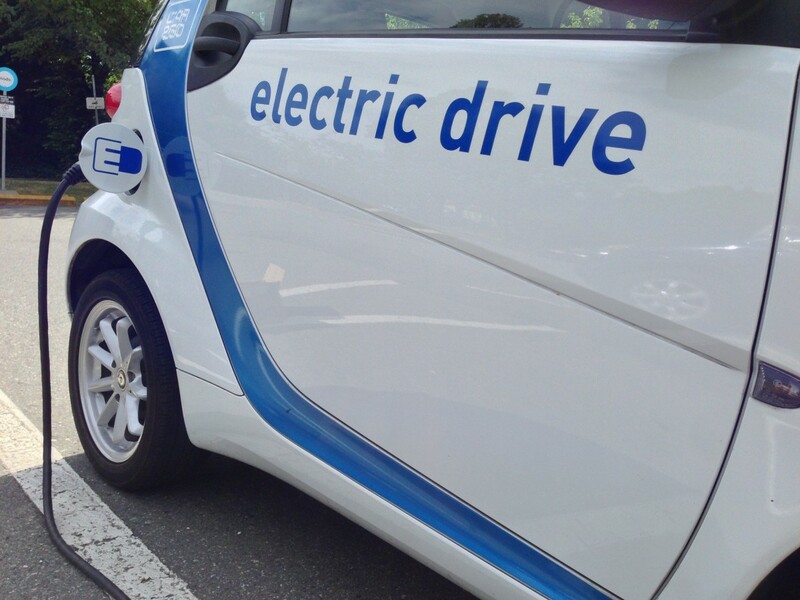 There will be two million electric cars on the road by the end of 2016. Despite low oil prices, plug-in electric vehicles (EV) are charging forward worldwide, with more than 2 million expected to be on the roads by the end of 2016, according to recent market figures. Around 312,000 plug-in electric cars were sold during the first half of 2016, according to analysts at EV Volumes — a nearly 50 percent increase over the first half of 2015. The rise in sales is attributed to a growing Chinese market, followed by sales in Europe and the United States, where Tesla Motors Co. is now dominating the luxury sedan market, according to recent reports. And though EVs are a fraction of the global vehicle stock — less than 1 percent— the industry is growing about 10 times faster than the traditional vehicle market. This increase could be significant for public health and the environment in the United States and elsewhere. In the United States, transportation is now topping the electricity sector as the largest source of carbon dioxide emissions, a key factor in human-caused climate change. Moreover, fossil-fuel vehicles are known to be major contributors of air pollution associated with asthma, allergies, cancer, heart conditions, and premature death, according to the United Nations. And while EVs can reduce air pollution in cities, they also mean less oil extraction, which comes with air pollution and environmental issues of its own. Right now, EVs’ presence is too small to affect fuel consumption and greenhouse gas emissions from the transportation sector, according to a 2016 International Energy Agency (IEA) report. However, the IEA noted this could soon change, with countries like Norway, the Netherlands, and China boldly turning to EVs as they aim to slash emissions in the next few years. Norway, a small but rich nation, is now leading the world in EVs. One in three new cars sold there is electric, and that proportion is increasing due to tax breaks and investment in charging infrastructure, The Guardian reported. The Netherlands is following closely, since, like Norway, it wants to phase-out fossil-fuel cars within the next decade. According to a Transport & Environment report released Thursday, EV sales in Europe doubled last year to 145,000. In China, the rise of EVs is noteworthy, too. One in four electric cars sold worldwide is sold in China. “What we have seen over the past few months is a complete culture change,” said Greg Archer, clean vehicles director at Transport & Environment. This growth is expected to continue around the world. Some studies suggest that by 2030, EVs could account for two-thirds of all cars in wealthy cities like London and Singapore. That is likely to happen thanks to stricter emissions rules, consumer demand, and falling technology costs. Batteries, a major factor behind high EV costs, are getting 20 percent cheaper every year, according to EV Volumes. I’m guessing that over the past 3 months (or more), your news feed has been dominated by election-related stories. So you may have missed the recent good news about the electric vehicle (EV) market in the United States. To bring you up to speed (and provide a brief break from election hullaballoo) here are 4 graphs that explain what’s been happening in the world of EVs. EV sales in the US just hit a new record. Over 45,000 EVs were sold in the third quarter of 2016, up more than 60 percent from the same time a year ago. The sales increase can be partly attributed to the second generation Chevy Volt, which became widely available in March 2016 and includes 50 miles of electric range along with a backup gasoline engine. Plug-in hybrid electric vehicles (PHEVs) like the Volt allow many drivers to do all of their normal daily driving purely on electricity, without any fear of running out of juice because they can just fill up with gas if the batteries are drained. Confused about the difference between PHEVs like the Volt and battery electric vehicles (BEVs) like the Nissan LEAF? Check out this explainer post. EV sales reached this new high-water mark despite spotty availability of EV models across most of the country and continued lower-than-average oil prices, a factor often cited as hampering EV sales. Low gas prices do take some of the spotlight off of EVs, despite their lower operating costs compared to gas-powered vehicles. But even with gas hovering around $2.30 a gallon, driving on electricity remains cheaper. The US Department of Energy estimates that driving on electricity is like paying $1.15 per gallon of gas, and electricity prices have historically been much more stable and predictable than gasoline. Generally speaking, EVs are not readily available outside of California. The current lack of availability is due, in part, to the fact that a major policy pushing automakers to offer EVs—theCalifornia Zero Emission Vehicle Program—does not require automakers to sell EVs outside of California (yet). The requirements of the California program are set to expand to 9 additional states (ME, CT, VT, NY, MA, RI, MD, NJ, OR) in 2018, which together made up 28 percent of combined vehicle sales in 2015. So, the expanded role of policy pushing automakers to sell EVs in major vehicle markets outside of California will likely accelerate aggregate EV sales over the next couple years. 2017 should be an exciting year for EVs. Chevy is about to drop the Bolt, an all-electric car with over 200 miles of range and a price tag of around $30,000 after the federal tax credit. Toyota is releasing a new Plug-in Prius, now called Prius Prime, and recent pricing announcements put the cost similar to the price of existing Prius models. Also in 2017, Tesla is aiming to ship their much-anticipated Model 3, and Hyundai will launch their Ioniq series that will include several electric drive train options. In 2018, Audi is slated to launch an all-electric 300-mile range SUV. Check this post for more detail on other EVs coming to showrooms soon. Overall, more EV options mean more choices for drivers to choose a vehicle that is cheaper and cleaner than a comparable gasoline model (and fun to drive). Though the EV market still has to overcome some hurdles , the state of play right now provides real reason to be optimistic about where EVs are headed.